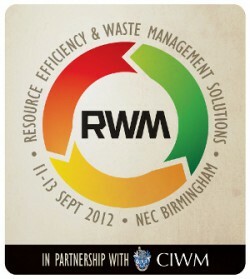 AutoDrain will be exhibiting at this year’s RWM Show on the 10-12 September. The show is held at the NEC, and is the largest and most comprehensive recycling and waste management show in Britain. It caters for all industries and every aspect of waste and recycling management, including end of life vehicles, scrap metal and a whole lot more. 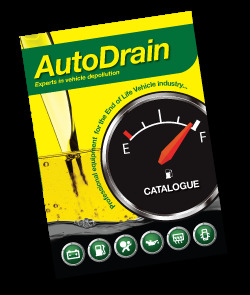 AutoDrain will be exhibiting at this year’s Commercial Vehicle Show on the 9-11 April. The show is held at the NEC, and is the largest and most comprehensive road freight transport event staged in Britain, catering for every operator’s requirements from truck, van and trailer manufacturers through to handling equipment, insurers, tyre, telemetry and training providers, fuels and lubricant suppliers – and a whole lot more. AutoDrain are finishing off an extremely busy year of exhibiting with Pollutec 2012, held in Lyon, France. Pollutec is a hugely important show in the recycling, waste and sustainable business industry, attracting thousands of visitors each year from all over the world. AutoDrain are finishing off their UK exhibition year by exhibiting at the final Mechanex show of the year at Sandown Park in Surrey, on the 13th and 14th November. It has been a very busy year of exhibitions for AutoDrain, and next year looks set to be the same. AutoDrain Fuel Recovery Equipment at Mechanex. AutoDrain will be exhibiting at the third Mechanex show of the year at Donington Park on the 2nd and 3rd of October. This continues a very busy couple of weeks for AutoDrain, with exhibition season really getting started. AutoDrain will be exhibiting once again at this year’s Professional Recovery Tow Show on the 13-14 September. The show is held at the Telford International Centre each year, and showcases all the latest in equipment and services for the revoery, towing and breakdown industries. It’s now less than three weeks unitl the Recycling and Waste Management Show 2012. AutoDrain are pleased to announce they are again exhibiting at this show. AutoDrain will be continuing a busy year of exhibitions with the IFRS Tow Show in Tullamore, Ireland from the 27-29 July. AutoDrain have just got back from exhibiting at the Complete Auto Recycling Show (CARS), the first show in the UK specifically for those involved in vehicle recycling and dismantling.